Dream-folk band Highland Kites pour their hearts out in ‘I’m Not Weak,’ a beautifully intimate EP committing to life’s ups, downs, and everything in-between. 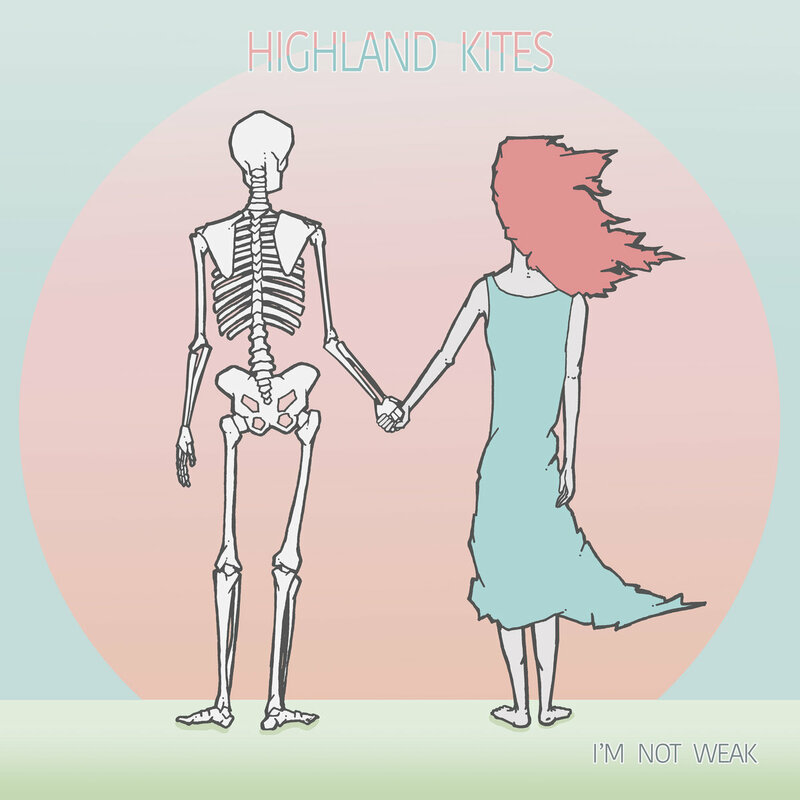 There’s a profound energy emitting from Highland Kites’ music: Vibrant and bright, reflective and engaged, the band’s beautiful new EP I’m Not Weak is a powerfully forward-facing commitment to life – the ups, the downs, and everything in-between. Atwood Magazine is proud to be premiering Highland Kites’ sophomore EP I’m Not Weak, independently out July 29, 2017. 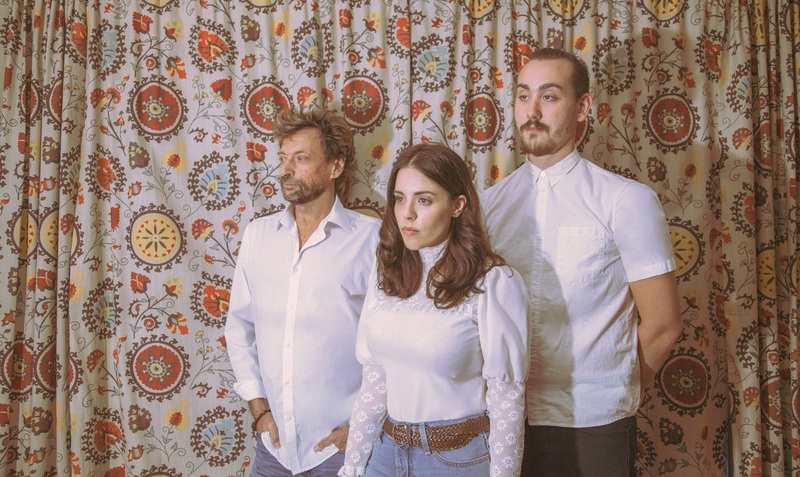 Centered around the creative force that is singer/songwriter Marissa Lamar, the Los Angeles alt-folk trio of Lamar, percussionist Neil Briggs and lead guitarist Alex Edwards offer physical and emotional release through a collection of poetic folk songs that seek to balance and empower the individual spirit. The image of a woman holding hands with a skeleton burns into our skull this defiance of our brittle nature; our bodies may break, but our spirit never withers. We are strong, so long as we believe it on the inside. Whether she’s observing herself within the guise of a relationship or her former illness, Lamar holds her head high, committing to self-improvement and a positive, better tomorrow. these thoughts they seem to culminate. Though the EP’s resounding statement is made in its final, title track, scattered throughout are glimmers of hope, resilience, perseverence, and independence. We start with the beat driven “Nothing to Say,” where Lamar’s plaintive voice contrasts with a constantly bustling drum beat to create a sense of forward momentum. Let’s stop talking, If it’s ok with you I’ll go. Lamar’s unapologetic self-acceptace is a notable milestone in and of itself, and yet while she accepts this sweet moment of indulgence, she does not brag or boast: In point of fact, her incredibly personal lyrics portray her as an overthinker who’s here to tell the whole story, character flaws, distractions and all. I wrote a song for you last night. Just as she finishes telling us how she’s accepted herself for who she is, Lamar asks herself if she’s a “Monster” in Highland Kites’ second track. She calls herself a nightmare, lost in a dream within a soft, sonically light environment where lilting guitar riffs bolster her rather naked, nuanced inflections. What’s most interesting about this transition, however, is how Highland Kites can juxtapose their songs against one another, utilizing bright and dark melodies and atmospheres to tell various parts of the same overaching story: That is, Lamar’s introspective dive into herself. Highland Kites waffle between self-certainty and self-doubt throughout I’m Not Weak, ultimately coming to the conclusion, on almost every song, that there is a light at the end of the tunnel and that the individual can see herself through whatever uphill battles she’s facing. That back-and-forth feeling reflects the deeper instabilities within all individuals: Confidence is certainly a learned skill, not a natural trait. We are fragile; we love ourselves one moment and condemn ourselves the next. What Marissa Lamar and Highland Kites are therefore able to accomplish, over the course of these 25 minutes, is quite powerful: I’m Not Weak is a demonstration of the spirit finding internal strength. While Highland Kites’ lyrics succeed at telling a provocative tale, their music keeps our attention with its color and candor. 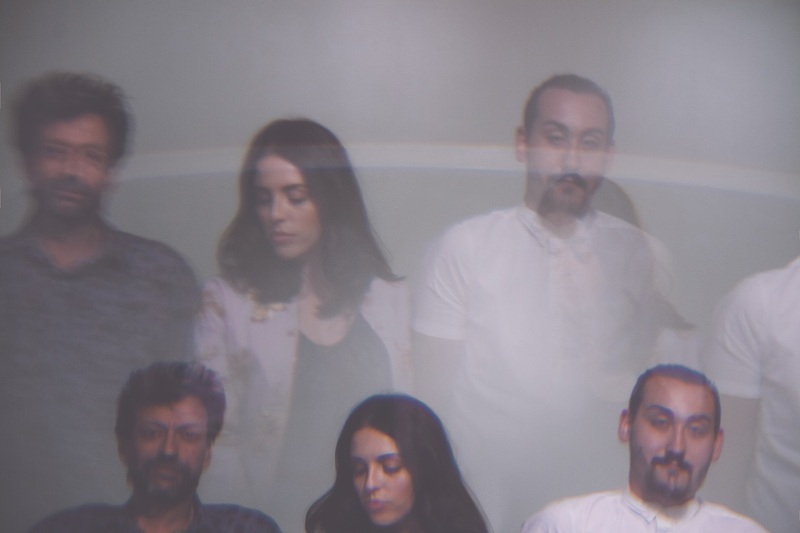 “Musically, we worked hard to ensure each song really felt right emotionally. There was no focus or obsession over genre; we spent time ensuring that the compositions of each song respectively matched the feeling of the lyrics and experiences,” Lamar explains. The music captures the intimacy of each moment through delicate melodies (see “You’ll Never Know”) and warm layers of harmony (see “Temporary Life”) that shine with resounding warmth. Highland Kites are the epitome of dream folk, and they’ve put their best foot forward on their latest EP. Listen to the full record through Atwood Magazine’s exclusive stream, and peek inside I’m Not Weak with Atwood Magazine as Highland Kites’ Marissa Lamar provides her personal take on each of the EP’s songs below! An underlying theme of this EP is finally accepting who I am as a person, and not apologizing for who that person is, flaws and all. This song for me is really just a vent, and outlet to portray in ways I can’t in regular conversation that I am not going to explain myself, that I am ok with who I am, stating that fact, and leaving it at that. It goes through the thought process of trying hard to please someone, and finally realizing I will never fully be who this person has painted me as, and that’s okay. This song is probably the most self reflective on the EP. At the time I wrote this I wanted to so badly to run from certain parts of my life and past, just leave everything behind me. I realized that the monsters I was running from were all within me, and that no matter how far I went I could never escape myself. That realization helped me move on, become stronger and start finding peace with myself. It was the first harsh realization that I had to have on a road back to loving myself again. This one is an interested dichotomy, with such happy chords and melodies but some of saddest lyrics I’ve written. It’s that moment you realize you poured your whole self into something that was completely impermanent and fell apart in an instant. It’s the process of losing something you held onto so tight, and then realizing you have to let go, that giving up isn’t always failing. There were things in my life I needed to give up in order to really start over and move forward. You don’t always know the ins and outs of a person, the surface means nothing. This song is about judgement. Knowing that judgement exists and having a whole world inside me that’s unknown, a whole story that isn’t understood. I had to make peace with the fact that me knowing the truth about myself was enough, and I had to stop caring about what other people thought of me. I know the truth and who I am, and that’s good enough. I took every emotion I’ve felt in the last 5 years and put them in one song. This song is all my anger, sadness, hope, happiness, triumph and love for being alive. It’s the final conclusion that I am stronger than I ever thought I was or could be. It’s the certainty that I know who I am and can finally embrace it, while also letting go of the things that broke me. This song is me finally being able to breathe again.